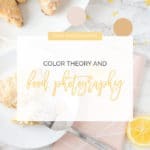 Rule of thirds – a very elementary photography composition concept. 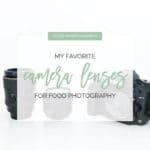 Let’s talk about what it is and how this applies to food photography! 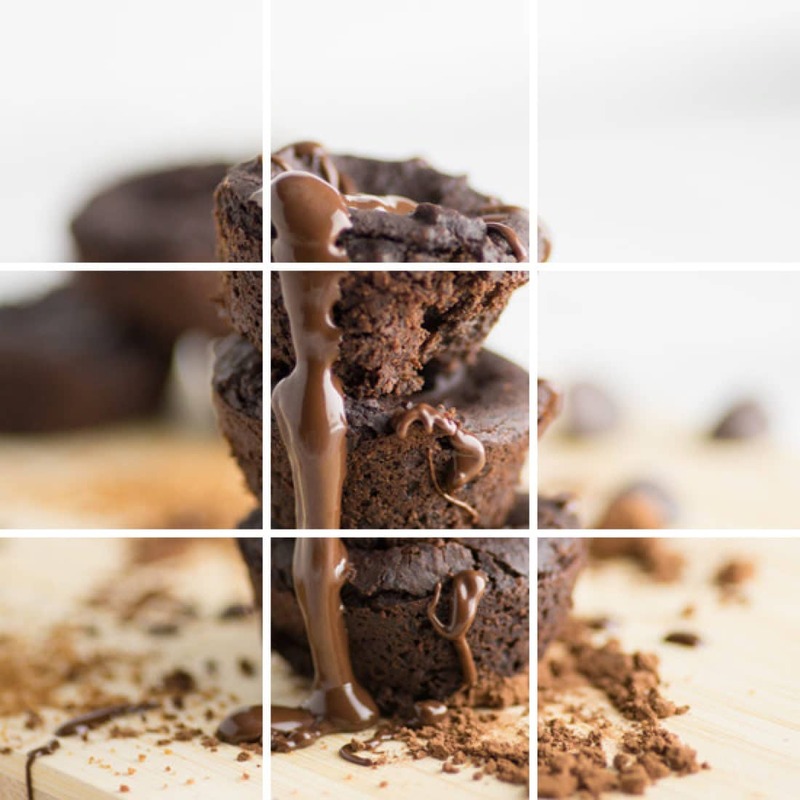 Rule of thirds is dividing a photo into 9 squares. 3 across and 3 down. 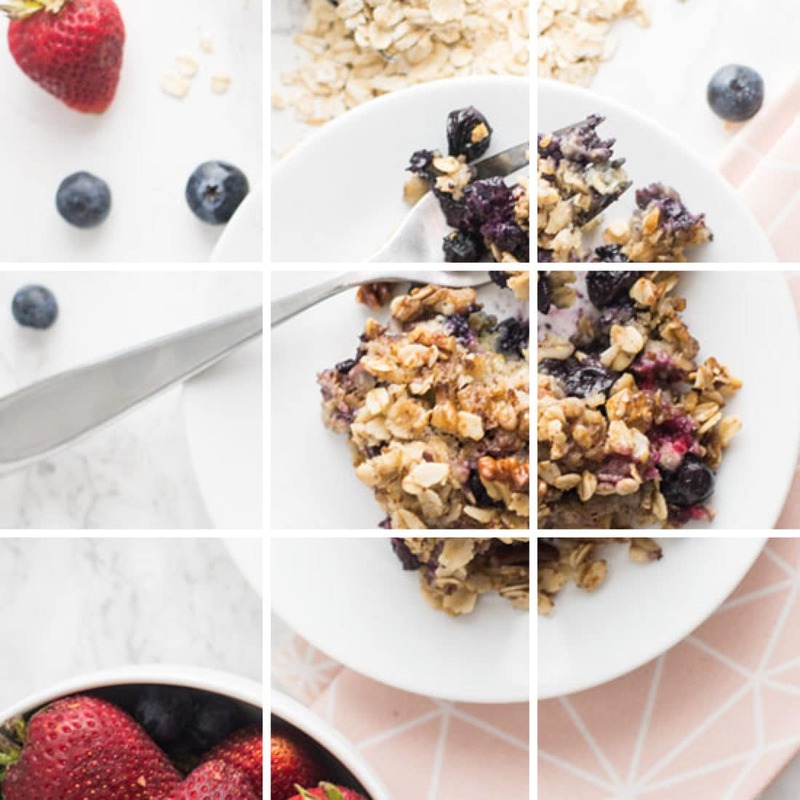 With this grid, you can use it to build a compelling composition. Rule of thirds helps create balance and intentionally draw the viewer’s eye to certain points of a photo. Note: If you’ve never heard of this concept let alone applied it, chances are you’re already using it! This is most natural to the human eye which is why it’s such a desirable photography technique! Can’t envision 9 squares when taking a photo? Cameras have a setting so you can apply this grid on your viewfinder. Each camera is slightly different (real convenient, right?) but it’s in the menu settings on your camera. A quick Google research of your camera make and model + “grid settings” or “guidelines” should land you to the right place! 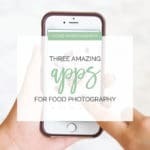 How to use the rule of thirds in food photography? Have you ever looked at a picture of food and it was off center, but it’s a beautiful food photo regardless? You may not know how to explain why you like a photo, but you just do. That’s because this grid is natural to the human eye. And most likely, that off-centered subject lied at the intersection of points on the grid. In this example above, the point of interest is the oatmeal bake, but the part where the fork lies on the plate. This action is smack in the middle of an intersecting point. Not trying to get all mathematical on you but photography is slightly technical! When you think about your food subject, how much of the photo is it occupying? As a practice, look at your most recent photos and try to take note. Is it almost all of the composition? Or is it small and there are lots going on in the background? The “star” muffin if you will, is positioned in the bottom-center grid. 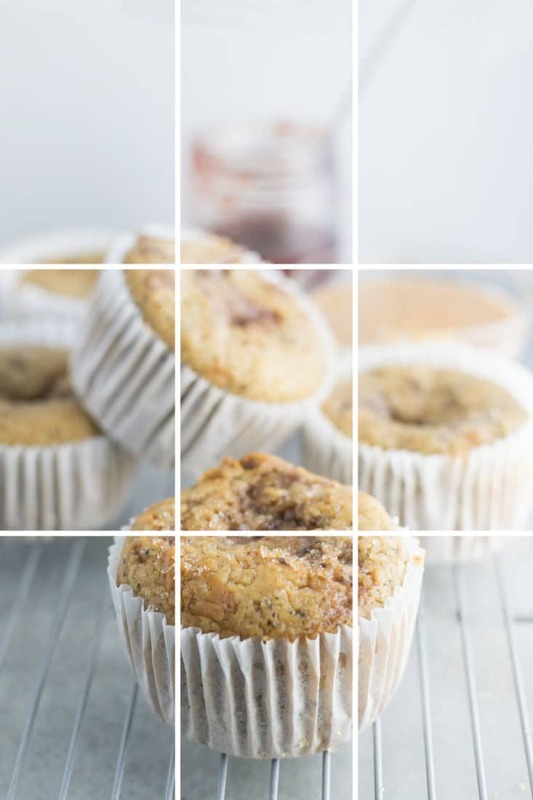 But roughly two-thirds of the composition is occupied because the blurred muffins take up one-third. These brownies are dead center, right in your face BUT they occupy one-third of the grid! When thinking about your focus subject, set up the composition with intention. Think about why you’re placing an object in a certain point of a composition. I like to think of the rule of thirds as a guideline rather than a rule. Think about it, and make a decision if it works for your composition and subject. After all, rules are meant to be bent and broken! Think about this grid when editing too! Cropping can do wonders when deciding where to place the focus subject. Practice! The only way you’ll discover what you like is to practice and explore different compositions. 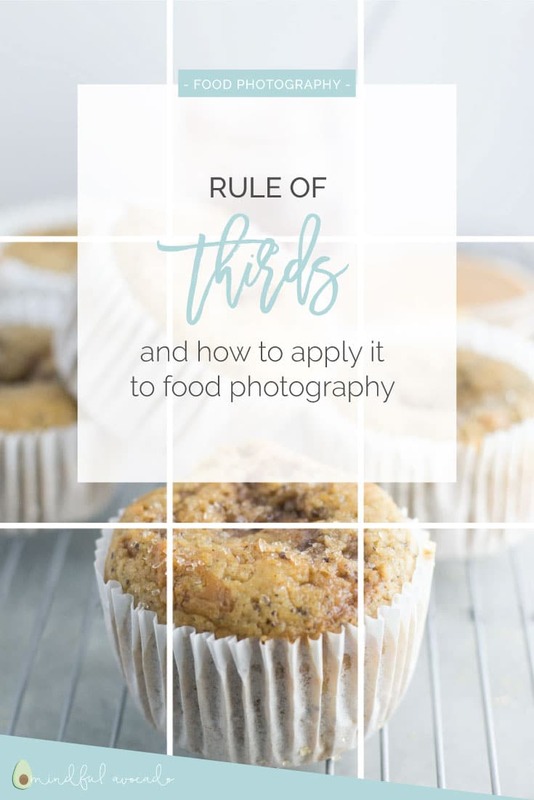 Do you use the rule of thirds? Let me know in the comments below!